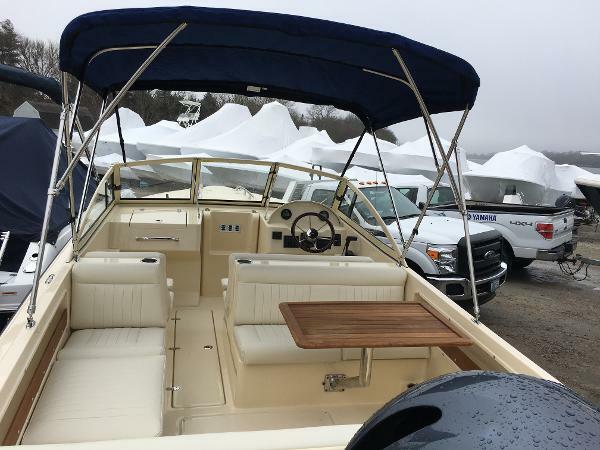 This 2018 new in-stock Rossiter 20 Coastal Cruiser comes powered with the Yamaha F150XB Four Stroke Outboard. Options Include: Flag Blue Hull, Antique White Waterline Boot Stripe, Teak Removable Table, Chemical Marine Head Plumbed with Deck Pump Out, Stainless Steel Bow and Stern Boarding Ladder, Pop Up Ski Tow Bar, Windshield Wiper, Bimini top, Cockpit Boat Cover, Port Side Removable Extended/Removeable Lounge, Ivory White Vinyl, Powder Coated Windshield Color Match Gelcoat Top Sides, Flush Mount Helm Garmin 7" Touch Screen. Whether you’re looking to cruise the shores of one of our many waterways, oceans or lakes, the new Rossiter 20′ offers you the renowned big water performance of a Rossiter combining practicality, beauty, comfort and efficiency. 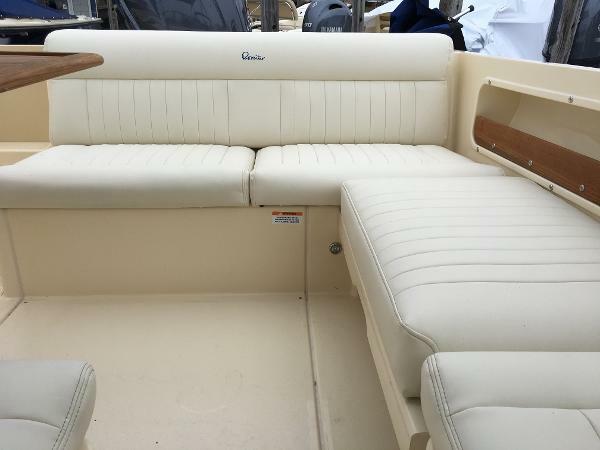 With a spacious cockpit, robust storage, and comfortable seating, there is ample room for nine friends to sit or lounge, while still offering plenty of room to stow your excess gear. 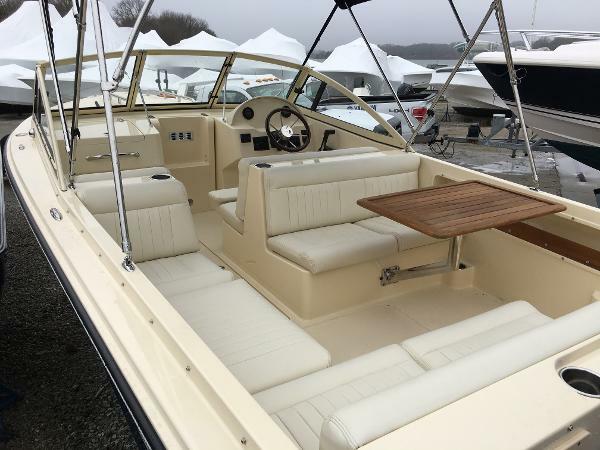 And with 150-200 horses on the transom, like all Rossiters, you’ll get acceleration with little effort or bow rise so you can pull a tube or skier with ease, cruise for hours without emptying the tank, and get home in a hurry with confidence, when you need to. Verkoper Allen Harbor Marine Service Inc.